KOREA SUMMER GRAD TRIP: JEJU ISLAND | DAY #2 - Eunice C.
It was our second day on Jeju-do and we could not wait for the upcoming adventures ahead of us. 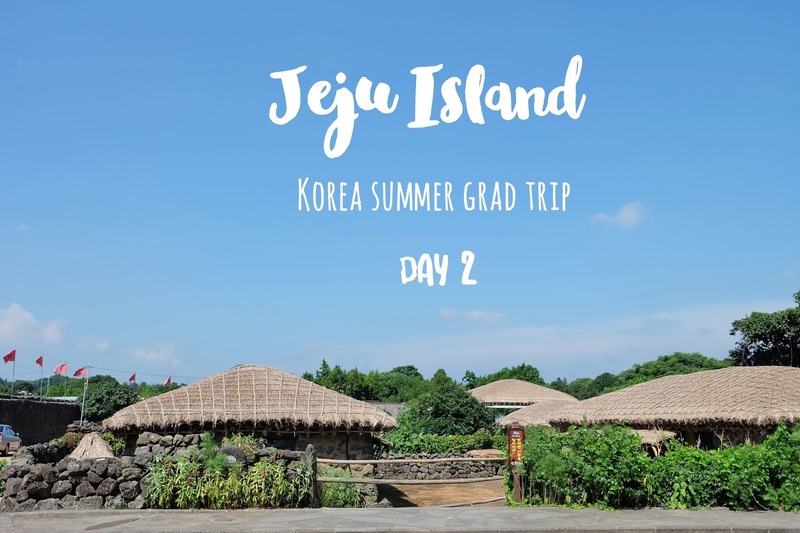 It was also our last day on this island, so, we enjoyed every last bit of Jeju before it ended. If you have not read about our experience on the first day, here’s a link to it! 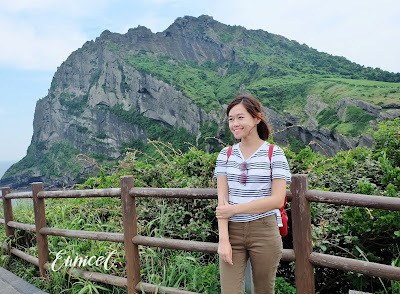 The Jeju Folk Village offered us a short glimpse into the past and enabled us to experience the culture and traditions of villages in Jeju-do back in the 19th century. 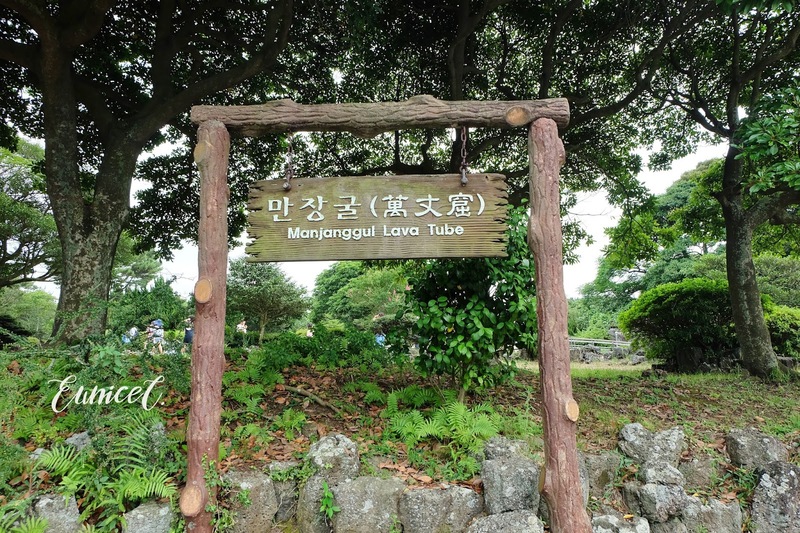 This historic village consisted of 117 houses, facilities, and villages such as the Mountain Village, Hill-Country Village, Fishing Village, and Shamanism Village. Most of these old rustic houses were relocated to this place from their original location in an effort to preserve these historical buildings. When we first arrived at the location, I suddenly felt that we travelled back in time. In conjunction with National Liberation Day, a day to commemorate Korean freedom from Japanese colonisation, there was no admission fee charged! A local tour guide was explaining to us throughout the tour in the village. As the tour was conducted in Mandarin, I did not fully comprehend the explanation given, though I understood the crux of her speech. Based on my understanding from the explanation given by the fast and heavily accented mandarin speaking tour guide, each door served a specific purpose- where each door was only accessible by a specific person in the family. Apparently, this was a horse stable. 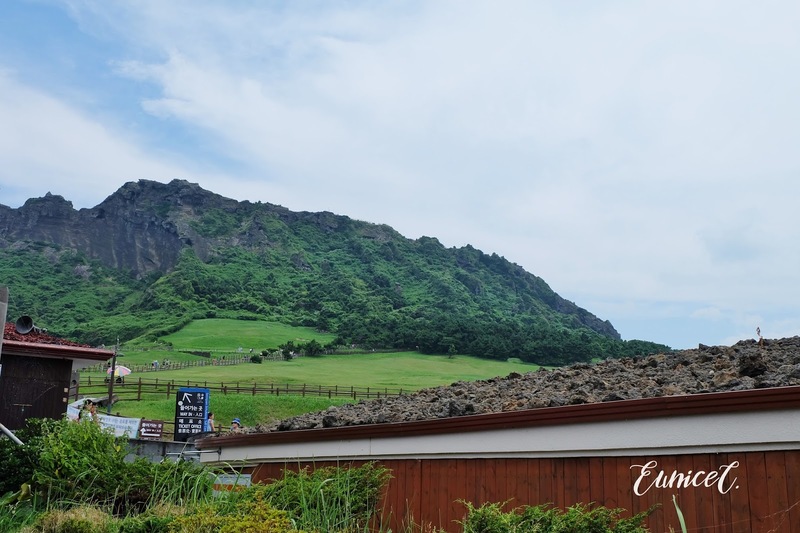 The dol hareubang (grandfather) statue is everywhere in Jeju Island.Carved from porous basalt volcanic rock of Jeju, these statues act as guardians of this island. We were introduced to many Jeju specialty products such as horse oil, honey, and omija (five flavours) tea. Omija or scientifically known as Schisandra Sinensis, is a berry that can emit five types of flavours: salty, sweet, sour, pungent, and bitter. Omija tea serves as a thirst quencher during the hot sunny days in summer. Rich in medicinal benefits, omija helps in preventing strokes, cardiovascular diseases, stress ulcers, liver detoxification, and uterus repair after childbirth or menstruation. Fresh omija berries soaked in water in order to extract its flavour. I took a sip of the omija tea and it tasted sour to me, despite the array of flavours blended together. This tea is widely available in Korea. We only explored a few areas in the folk village as we were unsure whether we were allowed to wander to other places on our own with the absence of the tour guide. After having a few photos taken at the folk village, we were set for the next destination. * For seniors and men or national merits, presentation of related-documents is required. 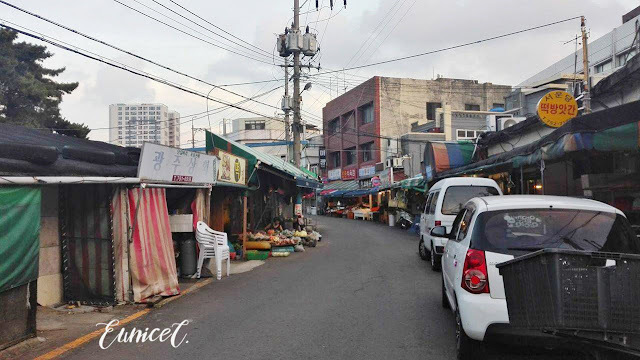 Less than a mile up north from the folk village, Seopjikoji is situated at the eastern shore of Jeju. The beautifully surreal countryside view before us made me feel like we just entered into a mystical fairytale realm. There were rustic wooden gates at each side guarding the long path that led us to the lighthouse. 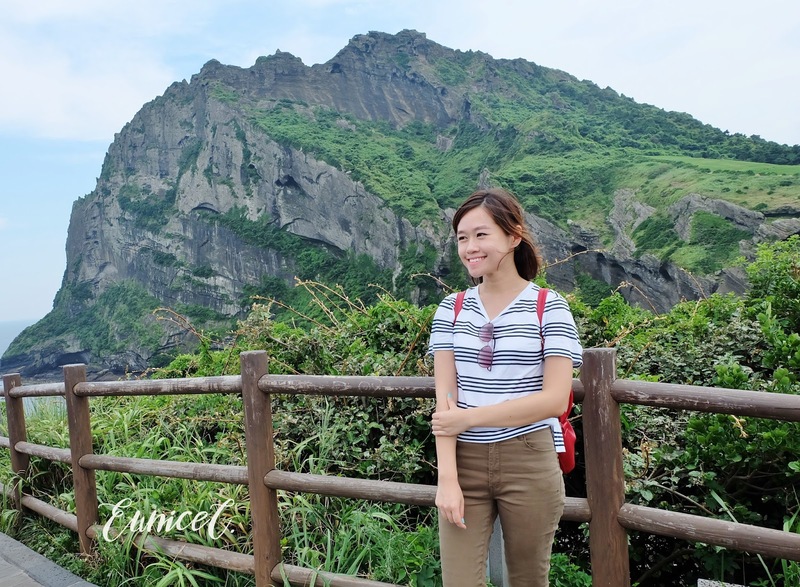 Majestically perched on the cliff, the lighthouse offered a panoramic shoreline view of Seopjikoji. 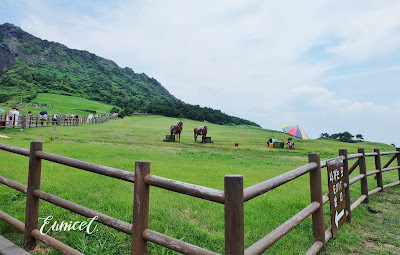 In the midst of the green pastures, a little pony was seen to be alone, swishing its tail, probably resting from the horseback riding activity. En route to the lighthouse, was a candy house, inspired by Hansel & Gretel, adding even more of a magical touch to the picturesque fairy tale scenery. Naturally formed by hydrovolcanic eruptions, Seongsan Ilchulbong is a tuff cone that rose from the seabed five thousand years ago. 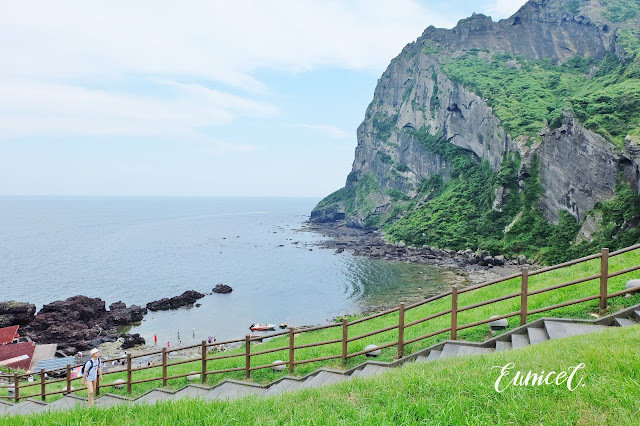 Since it is situated at the eastern tip of Jeju-do, Seongsan Ilchulbong is the first to meet the sun, hence earning its nickname-- the Sunrise Peak. In fact, the sunset view at Seongsan Ilchulbong is equally breathtaking! There were two different hiking trails that lead to the peak. Brace yourself for much walking and climbing in order to behold the magnificent landscape! Yes, Seongsan really lives up to its name in Cantonese. However, we were there during midday, as our schedule was conveniently arranged that way. The weather was kind to us that day, as the blazing sun hid behind the clouds. Spectacular sunrises and sunsets are not the only major highlights you can experience at Seongsan Ilchulbong. At 2pm, there was a scheduled performance by the Korean female divers, known as Haenyeo (directly translated as sea woman from Hangul). 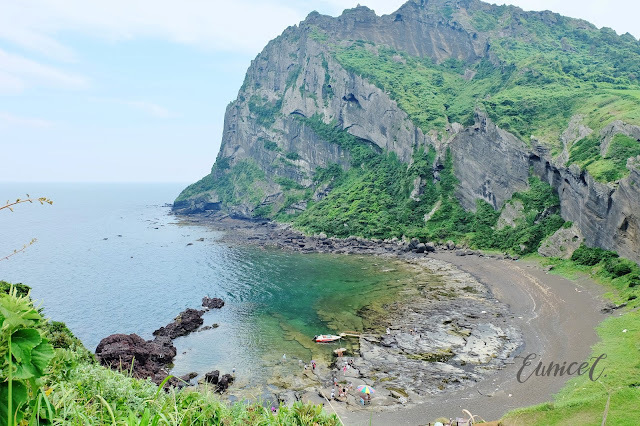 Haenyeo are “fisher women” who dive into the ocean wearing only a lead-weighted vest and goggles to collect clams, abalone, and seaweed. No wonder they are called Mermaids of Jeju! Sadly, we missed the performance, probably due to waiting at the wrong venue. Oh well. We were once again surrounded by greenery, and of course who would miss out on taking beautiful photographs of this place. 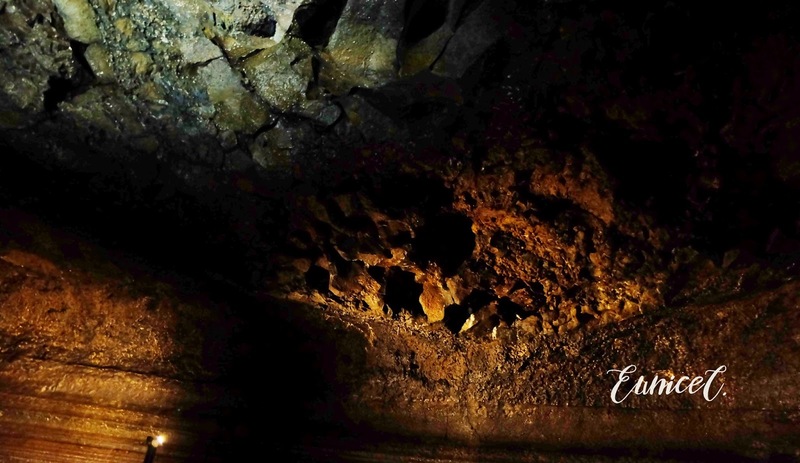 Also another UNESCO World Heritage, Manjanggul cave is one of the finest lava tunnels across the globe. This iconic natural monument also offers visitors a whole new experience with nature. The interior of this cave has many interesting geological features- stalagmites, lava flowlines, lava rafts, and ultimately, the lava column. Since there is only 1 km of this lava tunnel opened for public access, we gave it a try. Just a heads up-- it was chilly in there, so it is better to bring an outerwear. However, we realized that we did not get the memo as we saw all the local Korean tourists clothed with jackets or sweaters. Well, it was a brief escape from the summer heat anyway. We treaded cautiously on the uneven rocky and damp path while admiring the dimly lighted interior. The dim lights accentuated the natural structure of the cave. Occasionally, there were droplets of water falling on us from the ceiling. It was an adventurous path, as we wearily dodged water puddles and sharp stones on the ground. The 1 km obstacle course ended with the glorious view of the lava column, illuminated by colourful lights. We decided to end the day by giving our physically drained bodies a rest. Instead, we gave our minds a workout by solving a puzzle. Gimnyeong Maze Park, designed by an American professor at Cheju National University, gives visitors a mind boggling challenge by trying to escape the maze. 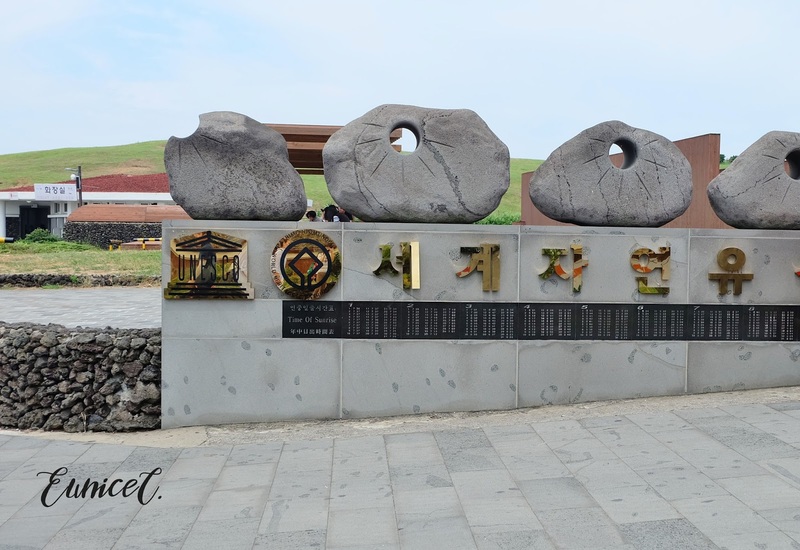 Apart from the intricate puzzle, the architecture of the maze was partly made up of seven famous symbols or landmarks of Jeju Island. 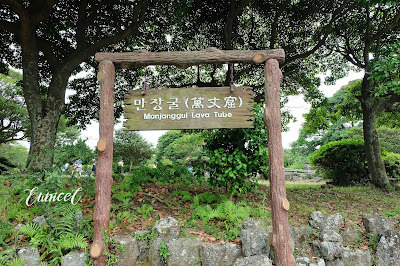 Gimnyeong Maze Park was just a distance away from the Manjanggul cave. We were given maps upon the admission fee payment. Prior to entering the maze, we thought it was a good idea to figure out the exit first before making any move. Apparently, there were four different ways to get through the maze from the entrance. There were three bridges and an observatory that allowed us to see the overview of the maze. We finally figured out our escape from the maze after a few bumps and wrong turns. After ringing the bell that connotes victory, we relaxed on the bridge while observing the hedges of pine that formed the maze. ※ Last admission at 18:00. Since it was our last night on Jeju-do, we did not want to miss a chance to indulge in Jeju’s signature food-- Black Pork. Black pigs are the local breed on Jeju-do. I have read about its difference from normal pork, where black pork has higher proportions of red muscle fibres, giving a redder appearance. In other words, black pork is a redder form of the white meat. 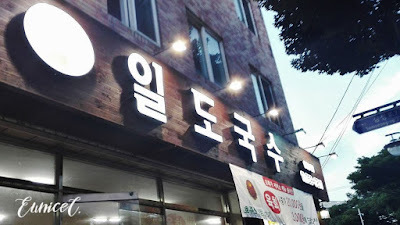 Instead of going to the famous Black Pork Street for its BBQ, we went to another place recommended by Hostel Lyndon guests who left positive reviews on the pin board. Apparently, most locals patronize this place frequently. Not surprising to me because I could not actually locate or search about this place on Google. Il Do Guksu, as the signboard wrote in Hangul, is a restaurant that serves Gogi-Guksu or “meat noodles”, directly translated. Similar to Dwaeji Gukbap (pork leg rice), the pork bones were boiled till they gave the broth a creamy appearance. The noodles were served with pieces of pork in the broth. 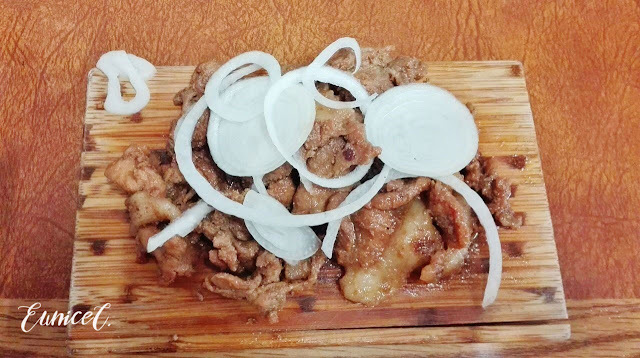 Accompanying the enormous bowl of noodles was a wooden plate of grilled black pork garnished with chopped raw onions. 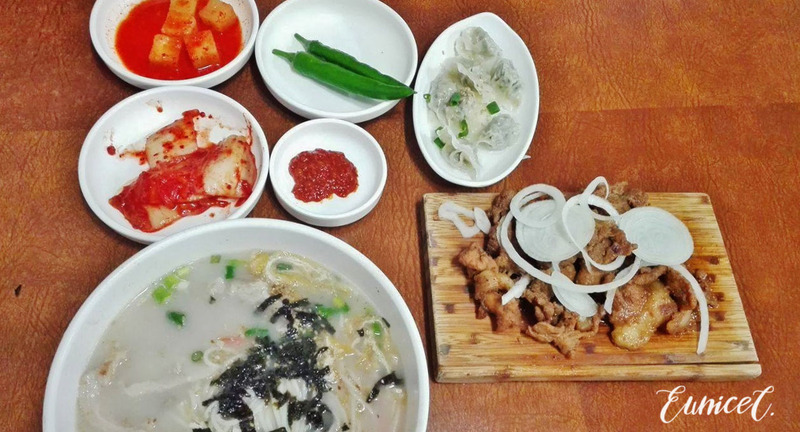 And of course, there were a few side dishes: pickled radish, kimchi, green chili, and dumplings. The best thing there was a container of seaweed among the condiments, which is my favourite! Truth be told, all of us had a hard time finishing everything! The portions were huge and it was just 6500 won (~RM23.01) per set. I have heard that black pork was more expensive than the normal ones, but the price was very reasonable indeed. The place is so beautiful! Looks like you had an amazing trip! Yes it is :) You should visit it too! Love your photos, feel so refreshed just looking through your lens. Wish to go there soon!